Anne Sloney is an executive assistant to the president of National Food Group. 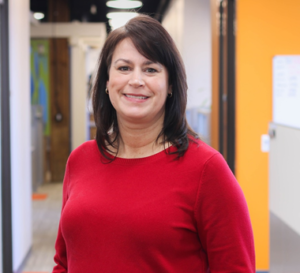 At NFG, Anne handles calendar management, administering the managed travel program, payroll for 100+ employees, sales rep commission and performance reports, company events, facility maintenance and renovations. A Michigan native, Anne graduated with a bachelors of business administration in accounting and computer information systems from Baker College. Anne will be one of the distinguished contributors at the Executive Leadership Support Forum: Detroit on April 18-19, 2018. The Executive Leadership Support Forum is important because it provides an opportunity for executive assistants to share knowledge and experiences. EAs face a variety of daily tasks, interactions, and challenges that at times are outside of their expertise. It is essential to create a base of resources you can turn to for guidance and workshops are a great way to build that network. How have you stayed tuned with professional development? In the past, I’ve been a member of IAAP, attended The Ultimate Assistant workshop, and watched software related webinars for professional development. I can’t live without organizational tools – Outlook, written to-do lists, and reminder alerts. When starting a career as a support professional, take periodic times to reflect on where you eventually want to be and adjust your education and job searches to support that path. I define success as an EA by the internal knowledge of the value I bring to the executives I support.